For 28 years, BWL’s founder, cosmetologist Tracey Smyth, and her expert team, have continued to be at the forefront of the latest developments in beauty and anti-ageing science. Tracey currently works with a team of associate cosmetic doctors in her Crouch End salon. Her aim is to ensure Beauty Works London is always able to offer her clients the most up-to-date innovations within the field of anti-ageing. Last year Tracey launched the BWL Transderm Digital DEP technology, a painless, non-invasive technique that adds volume to the face resulting in a smoother, younger and more radiant appearance. To further enhance the results of this revolutionary science, Tracey has created an exclusive range of BWL anti-ageing skincare products. The BWL Transderm and more treatments such as Semi permanent make up, Laser hair removal and pigmentation removal are available in Beauchamp place. Dr Virmani, graduated in Medicine in 1996 and was subsequently awarded a M.D (Masters) in Anaesthesia and a Bachelor of Laws (LLB). She in a NHS doctor practicing Anaesthesia and Intensive care, coupled with Aesthetic Medicine at Beauty Works.Dr Virmani holds a special interest in Dermatology and Aesthetic medicine and has trained with some of the best-known names in the field to provide a world class aesthetic service to her clients. Her practice is based on scientific evidence and the good practice guidelines as required by the General Medical Council.She remains up to date in the latest technologies in order to provide her clients a safe, ethical and personal service, enhancing their natural beauty. Her services at Beauty Works London include skin analysis and aesthetic consultations, skin rejuvenation programmes (peels, micro needling, tixel, skin boosters, acne scars, treatment of pigmentation issues, anti -ageing treatments, hyperhidrosis treatments, toxins and fillers. M S Beautyworks Its the best place i have ever been too. Cant stop raving about it. Dr. Virmani is the best. Have got so many compliments since i have been treated by Dr. Virmani. Her attention to detail and the level of commitment towards her work is beyond comparison! Am loving the experience! Highly recommend! Highly highly recommend Dr Virmani! So professional & passionate about what she does. Dr Virmani is not only great at what she does, I would say she is actually a perfectionist ! I would highly recommend her. She had made me glow and look so radiant! 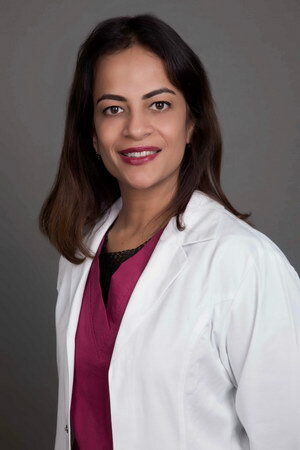 Have known Dr Virmani for a while now and I must say she’s the best you can get. Have always recieved the best guidance from her and I must say its all thanks to her that I recieve complements regarding my skin. My skin is better now than ever before and she seems to have solutions to almost everything. I have recommended her to all my friends and must say they’re pretty happy. Thanks Dr Virmani. Bless you. Dr Virmani is passionate and really cares about your skin. She spent a long time going through all the various medical grade skincare and treatments available with me to make sure I was happy and fully understood the process and commitment needed. My skin is glowing and has really improved, thanks to her. She really cares and explains everything in detail, which was really important to me. I wouldn’t trust anyone else but her with my skin. Dr. Virmani has been advising me on my skin care routine for the past year. My skin is visibly looking much more clear and smooth and I feel great thanks to the amazing products that dr. Virmani has recommended! Dr Virmani has been advising me on my skin care, carrying out skin rejuvenation, anti wrinkle injections. Thanks to her for making my skin flawless & giving me a younger look then me age . I love it.